What do Napoleon Bonaparte, Oliver Cromwell, and Thomas Jefferson have in common? Besides the obvious similarity as heads-of-state, all three had red hair. Hair color ranges from platinum blond to ebony, due to levels of pigments produced by specialized cells called melanocytes. Those with dark hair have cells that produce a pigment called eumelanin, and those with blond or red hair have cells that produce pheomelanin. The relative ratio of eumelanin to pheomelanin determines a person’s hair color. A complete absence of both pigments leads to white hair color. The gene responsible for determining hair color is called the Melanocortin 1 Receptor, or MC1R. If the MC1R gene is active, it produces eumelanin and a person will have darker skin and hair. If the MC1R gene does not function (i.e. it is blocked or inactivated), the melanocytes will produce pheomelanin instead of eumelanin. A person with a malfunctioning MC1R gene will have blond or red hair, due to the lack of eumelanin, along with freckles. MC1R gene mutations are seen in all ethnicities. The MC1R gene is located on the long arm of chromosome 16. Its official location is 16q24.3, and is 3,098 base pairs in length. Depending on the specific mutation (known as a polymorphism in the language of genetics), hair color will range from strawberry blond to auburn. The MC1R gene encodes a protein made up of 317 amino acids. Over 35 sites on the gene have been identified with polymorphisms, and only a small number of these mutations cause red hair shades. How likely am I to Have a Child with Red Hair? Red hair is recessive, which means a person may have brown hair, and carry the “red gene” without expressing the hair color. A person must have two copies of the recessive gene to express the trait. The chances of having a child with red hair depend on the genes of the parents. 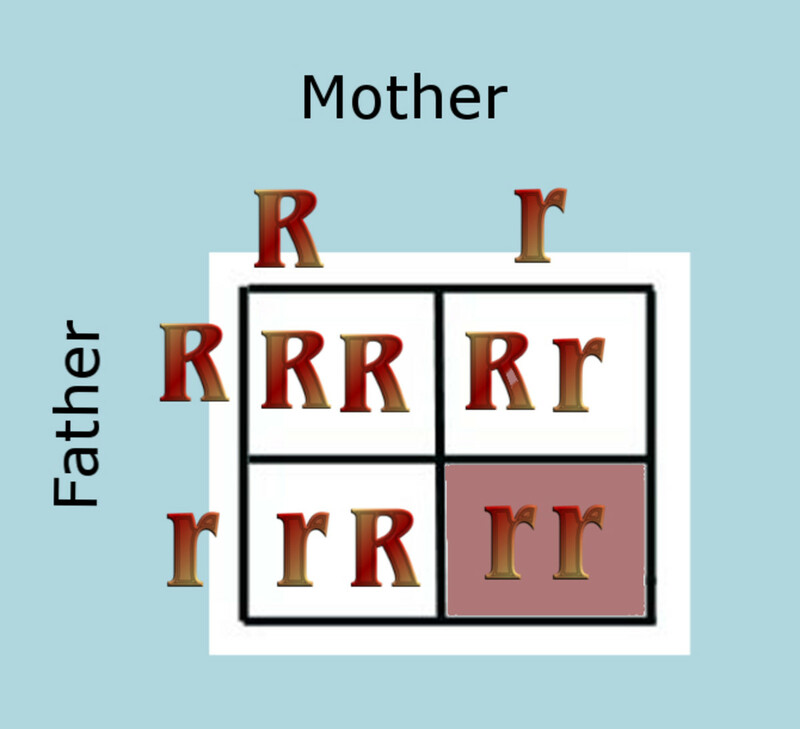 For simplicity’s sake, the various polymorphisms in the MC1R gene will be called the “red hair gene.” The red hair gene will be labeled as a lowercase r in the charts below and brown hair will be labeled with an upper case R.
The 23 and Me at-home genetic test will evaluate for the three most common genetic mutations on the MC1R gene. I have used this product for both family ancestry and for genetic trait testing, which was both interesting and useful for identifying whether my husband and I both carried mutations to the red-hair gene! In the first scenario, two parents have brown hair and do not carry any polymorphisms on the MC1R gene. In other words, neither of the parents is a carrier for the red hair gene. None of their children will have red hair, unless a new mutation arises spontaneously. These parents have almost no chance of having a child with red hair, unless a de novo mutation were to arise. In the second scenario, both parents have brown hair, but carry a red-hair causing gene. These parents are both called “carriers” of the gene. In this case, the parents will have a 25% chance of having a child with brown hair who does not carry the red gene. They have a 50% chance of having a child with brown hair who carries the red gene. There is a 25% chance that the parents will have a child with red hair. A third possibility involves a parent with red hair and a parent with brown hair. The parent with brown hair in this case is not a carrier of the red gene. Each of the children will have one allele for the red hair gene, and will be carriers of the gene. None of the children, however, will display the physical trait of having red hair. 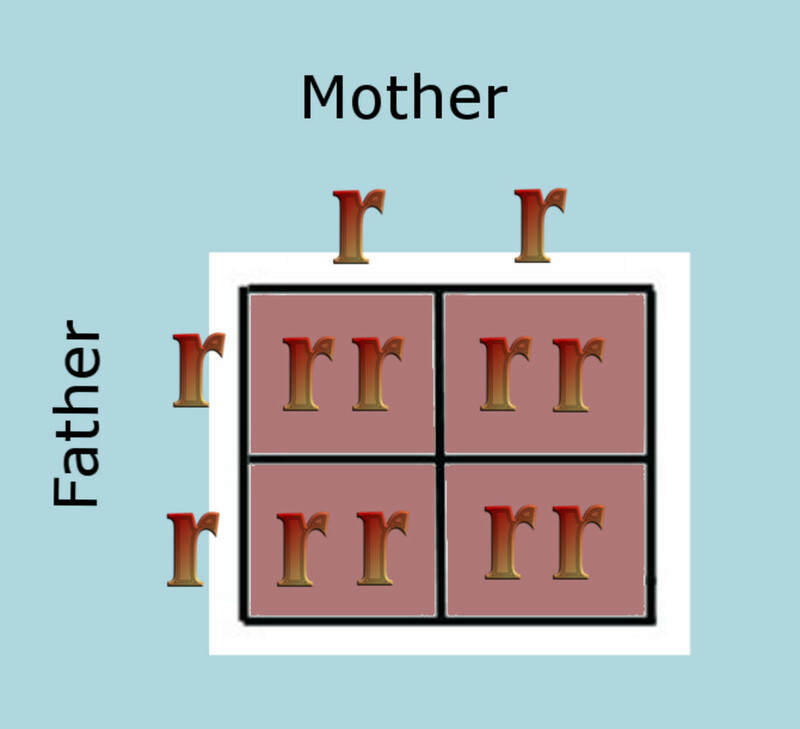 In a fourth scenario, one parent has red hair and the other has brown hair, but is a carrier of the red gene. There is a 50% chance that the children will have red hair, and a 50% chance that the children will be brown-haired carriers of the red gene. This is the scenario in my own family: I have brown hair and probably do not carry red-causing MC1R polymorphisms. My husband, however, has the classic red hair phenotype. One of my sons is blond, and the other has strawberry blond hair. The last case includes two parents with red hair: in this situation, all of the children would have the same phenotype as the parents. The children will all have red hair, since neither parent has the dominant "brown hair" MC1R genotype. In some cases, different polymorphisms (alleles) may be inherited from each parent. This scenario is common in locations where red hair is a common occurrence: primarily in Scotland and Ireland. Redheads have an increased risk for melanoma, as the melanocytes in people with red hair do not produce the protective eumelanin pigment. Unfortunately, the risk of cancer is increased even when there is no exposure to sunlight, so those with red hair should have regular check-ups with a dermatologist to monitor any skin changes. It is important to note that people who have dark skin and MC1R mutations are also at risk for skin cancer. People who have red hair are more sensitive to pain caused by burns and freezing than people with brown hair. Studies performed by Edwin B. Liem at the National Institutes of Health demonstrated an increased sensation of pain caused by thermal changes, and an increased need for anesthetic. Redheads required 19% more anesthetic than their brown haired counterparts. Interestingly, those with red hair demonstrate a reduced sensitivity to stinging pain (the type of pain encountered when receiving an injection). The MC1R gene affects the binding of endorphins, which are the body’s natural painkillers. The most common modern stereotype about redheads is that red hair comes with a fiery, feisty personality. Earlier in history, redheads faced more dangerous beliefs about their red hair. In ancient Egypt, redheads were burned alive as a sacrifice to the god Osiris. Their ashes were blown over agricultural fields by winnowing fans and used as fertilizer for the season’s crops. Early Egyptians regarded red hair as an unlucky trait. Some people do not come by their red hair via the MC1R gene. One type of albinism (type 3, or rufous albinism) demonstrates a phenotype of red hair and ruddy skin. This form of albinism is most common in New Guinea and Africa. Severe malnutrition can lead to a condition known as kwashiorkor – the deprivation of protein and calories from an individual’s diet will lead to failure to thrive, edema, excessive hair growth, and depigmentation, along with the development of red hair. The Biblical story of Esau is fascinating in this regard, because the Bible describes Esau as covered in red hair. As the story goes, Esau sold his birthright as the first-born son to his younger twin, in exchange for a bowl of soup. While the story is intended to demonstrate the hazards of placing material desires over a spiritual blessing, one has to wonder if Esau was simply suffering from the effects of kwashiorkor. Proopiomelanocortin deficiency (POMC) is a genetic disease resulting in obesity, adrenal insufficiency, and red hair. Children with this genetic disorder exhibit early onset severe obesity and striking red hair, due to the effects the POMC gene has on ACTH production and the influence this gene has on the phaeomelanin:eumelanin ratio in cells. There are various nicknames used around the world for those who have red hair. Sometimes the nicknames are affectionate, but many of the nicknames are used as insults. Ranga: An Australian nickname for people with red hair. The word is a shortened version of the word orangutan. Ginger: A name used for redheads, most commonly used in the U.K. The cartoon series South Park satirized the persecution of redheads with a genocidal campaign against "ginger people." Carrot Top: A nickname often used in the United States, comparing red hair to the color of carrots. Koakage: The Japanese word for redheads - the word "akage" indicates the red hair and the prefix "ko" for something small or cute. News reports reported on the imminent extinction of redheads in August 2007. Like many other myths circulating on the internet, the reports were incorrect. Based on the incorrect assumption that recessive genes will "die out" over time, the news reports stated that the gene for red hair would be gone by the year 2060. The reports supposedly came from the Oxford Hair Foundation, but no such scientific entity exists. The Oxford Hair Foundation manufactures beauty products and is not an academic facility. The claim that redheads are going extinct is completely false: recessive genes may become rare, but will not disappear from the human genome. Red hair will exist well beyond the year 2060! I have strawberry blonde hair. Are the genetic characteristics of a redhead and a strawberry blonde the same? My mom said that I was born with fire engine red hair. Now it’s brown with red highlights in the sun. Am I still considered a redhead? This is a common hair coloration pattern in red-heads. Many red-heads have both copies of a mutation in the MC1R gene and express little eumelanin (blond hair), allowing the red hair to be obvious. As some people age, the amount of eumelanin increases, causing the "blond" hair to become brown, which masks the redness of the hair. My husband is very similar - he had bright red hair as a child, but as he aged his hair darkened. I'm strawberry blonde with blue eyes, am I really a ginger? So many people call me a ginger, but as soon as I started calling myself that name, people disagreed. What am I if redhead doesn't define me? The term "ginger" is often used to describe people with red or light red hair. The etymology of the word does come from the ginger plant. While the root is the most commonly used portion of the plant in the west, the plant has a brilliant red flower. In the late 18th century to the early 19th century, roosters with red combs and people with red hair were called "ginger." Since the degree of redness in your hair is a subjective determination, people might agree or disagree with whether you fit the description of someone with red hair. The red ginger plant, however, was not common in Europe at the time the term originated, so it is also possible that the term initially referred to a sandy blonde or strawberry blonde individual (similar to the ginger root). We cannot be certain as to the origin of the term "ginger," and since hair color lies on a gradient, you should call yourself what you are most comfortable with. Some people may find the term offensive. I don't know what kind of color hair I have. I know my hair is red, but it also has lots of other highlights. The highlights are all natural or done by the sun - is this normal? Red hair comes in a variety of shades depending on the specific mutations you have, so highlights and varying shades are completely normal. The sun often bleaches hair, and may alter the perceived color. My mum has red hair and so do both of my grandparents. I don’t have red hair. My partner has bright blonde hair and so does everyone in his family (they have no red hair at all). What are the chances my baby will have red hair? I have Auburn hair. After taking a DNA test, I was given the result that my phenotype was blonde. Confused, I looked closer and found that I have one copy of red hair (my dad was a redhead) and a copy of blonde (presumably from my mother). How is it then possible that my phenotype and genotype are so different? How can I have red hair if I'm not a dual gene carrier? The DNA tests currently offered for the consumer market only test for three alleles of the MC1R gene, and over 30 alleles are known to geneticists. Since the over-the-counter tests do not test for all known variants, the "DNA test" can only tell you that you didn't test positive for both variants of the three most common alleles. It is quite possible you have a variant to one of the other 27+ alleles currently known, but the family tree, ancestry, and heritage DNA kits do not test for all of these. In other words, they really can't tell you your genotype because they only test for a limited number of alleles. My hair is platinum blond, my boyfriend's hair is strawberry blond. What would our children's hair color be? If your children only receive one copy of a mutation for the MC1R gene, they will likely have blond hair. You would both need to be carriers for a mutation on the MC1R gene for your children to have red hair. If you are a carrier and your boyfriend has red hair, your children would have an approximately 50% chance of having red hair. My husband and I were both born with blonde hair and our second born has red hair. How does that work when we would both have recessive blonde genes? The genes that code for blonde or dark hair are completely separate from the gene that codes for the appearance of red hair. One set of genes codes for the amount of eumelanin produced (which determines if your hair is dark or light) and the MC1R gene codes for how much pheomelanin you produce (which determines if your hair is red or not). You can both carry one recessive allele for red hair on the MC1R gene, but not display the red hair trait since you only are a heterozygote. If your son inherits both copies on the red hair gene, he will display red hair. I am a true brunette with brown eyes and my husband has light brown hair with hazel eyes. Our second daughter has red hair and brown eyes. How did she get the recessive red hair, but the dominant eye color? My red hair turned brown in my 40's. While my hair turned brown, there are maybe 5% of the strands that are still totally copper and even a few in the front that looks gold. Now in my 60's, I have found a few gray in the mix as well. Is that odd to have so many different genes turning off or on independently? Why is this happening? Many red-heads find that their hair darkens over time. The amount of "red" in the hair doesn't actually change from a genetic standpoint, as the pheomelanin is still produced. What happens in this situation is that the number of eumelanin increases in production over time, which causes hair to look darker and "masks" the red hair. This increase occurs in each hair follicle on an individual basis, which explains why some hairs remain red. As you continue to age, the production of both pigments will decline, leaving you with gray (and eventually white) hair. As with the increase in eumelanin production, the decrease in pigment occurs on a follicle-by-follicle basis so that some hair strands will turn gray earlier than other hair strands. About the increase in eumelanin (turning your hair brown), this is a common situation observed in people of all backgrounds. It is the most obvious in people who started with very light hair, as the darkening of the hair with age is very apparent. The biochemical basis for this is due to the expression of two compounds: pyrrole-2,3,5-tricarboxylic acid (PTCA) and pyrrole-2,3-dicarboxylic acid (PDCA). The ratio of these two chemicals are altered as you age, and the melanocytes (pigment producing cells) in the hair follicles produce more eumelanin. An increase in the PDCA/PTCA ratio darkens hair as there is a decrease in the dopachrome tautomerase gene expression, which is completely unrelated to the MC1R gene that causes red hair. A man and a woman are having a baby. If the man is blonde and the woman has fire engine red hair, what hair color will the baby have? We can only speak to the probabilities of hair color since the phenotype displayed by the baby will depend on the genetics of the parents. 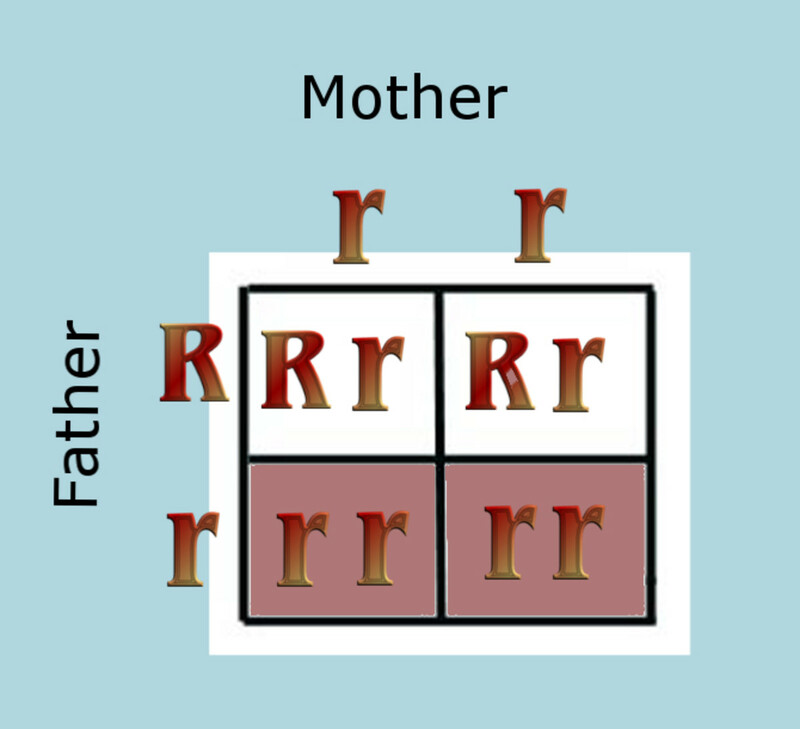 If the mother is homozygous for the same allele on the MC1R gene causing her red hair and the father of the baby carries one copy of the same allele, there is a 25% chance the baby will have red hair. If the father does not carry any mutations on the MC1R gene, then the baby would have blond hair unless a spontaneous mutation occurs (rare). If the mother is a compound heterozygote for mutations on the gene and the father is also a heterozygote, then the chances depend on the penetration of each of the genes. This is a trickier situation for probability, as the loss-of-function genes and compound heterozygote status may lead to varying shades of red (or no red at all) in the offspring. My sister has natural red hair and my husband has blond hair with a red beard. His aunts have red hair. Is there a good possibility that our future children could have red hair? It sounds like your husband has some mutations on the MC1R gene, though the probability of red hair as a phenotype in your children is dependent upon the genotype you both carry. If you do not have red hair or carry mutations on the MC1R gene, it is unlikely your children will have red hair. If you carry some mutations on the gene, then it is possible your children will have red hair if they inherit a combination of alleles from both of you to produce enough pheomelanin to create a reddish hue. Are redheads born with red hair? In general, most people who have red hair would show the trait at birth. Some people have the genotype for red hair in addition to genes coding for dark hair (more eumelanin production). In this case, the red hair would be "masked" by the dark hair and the person would appear to have auburn or brown/black hair. My mother and father have black hair and I am redhead. What hair color would my child have? Your child would likely display the phenotype of the dark hair since dark hair is a dominant trait. It is possible that your child would have red highlights if your partner also carries a mutation on the MC1R gene, but the dark hair will likely mask the red phenotype, even if the mutation(s) are present. I have always had bright red hair, but recently found out through genetic testing that I only carry 1 allele for 1 variant making me heterozygous only for R142H. Is it possible to have true red hair and only be heterozygous for one variant? My husband and I are both natural redheads and we have two children. Our first was born with light red hair similar to mine, but our second child was born with blonde hair. We assumed it would change to red as he got older, but he is three now and it looks to be turning a darker blonde without any hint of red. He is very fair skinned. Everything I have read says that our children have a 100% chance of having red hair. Is that false or do you think his hair will still turn red? It is very unlikely that his hair will turn red. People with red hair generally display the phenotype at birth (it is more likely for a redhead to go from having red hair at birth to a darker hair color as they age because you naturally produce more eumelanin as you mature). Most people are familiar with simple Mendelian genetics, which states that two parents carrying a recessive gene have a 100% chance of passing both copies onto their progeny. In reality, genetics is a lot more complicated than this simplified model. There are over 30 different alleles (gene variants) known to cause red hair. It is likely that you and your husband carry different alleles for the gene. In this case, while you are likely to have children with reddish hair, it is by no means a guarantee (as you have observed). His hair will likely remain dark blonde and may even become brown as he ages. I am an African American with two full African American parents. Neither of them has red hair, but each has a redhead somewhere in their history. Would I be considered mutated, or were they both carriers? My kids have strands of red hair, as does my brother. We have the same mom, but a different dad. Would it come from my mom if it's being passed on? It is highly likely that your parents both carried a mutation on the MC1R gene and passed it on to you. It is fascinating that your children also have red hair strands and your brother (who shares only one parent with you) have red hair, too. While it is impossible to guess at the exact genetics without having a full sequence of your MC1R gene, I wonder if you are a compound heterozygote, with one copy of several different alleles on the gene. It is also possible that both fathers carried a mutation on the MC1R gene. How can you tell if you're a carrier of the gene using "23 and Me"? Genetic tests like "23 and Me" and "Ancestry" often offer to test for some physical genetic traits, like variances on the MC1R gene that can cause red hair. These tests are limited, however, as these commercially available tests typically the only test for three different alleles on the gene. There are more than 30 known variances that can cause red hair, so testing for the three most common variants may show a "negative" for having red hair, even in a person that physically has red hair! In short, these tests may be able to show you if you are a carrier of the most common alleles on the gene that causes red hair, but they do not test for all possible genetic variants. Does the MC1R gene originate from Ireland? if not, then where does it come from? The MC1R gene did not originate from Ireland. Everyone has the MC1R gene, but some people carry mutations on the gene. There are more than 30 different mutations currently known to induce the red hair phenotype on this gene. Mutations in the gene are carried around the globe, but people who have dark hair cannot "show" the mutation as easily since the dark hair masks the redness in the hair. Those who have blonde hair and mutations on the MC1R gene will "show" the mutation (the phenotype) and have red hair. Many people in northern Europe have blonde hair, so those who carry the red hair genetic mutations show the phenotype better than those who have dark hair. My daughter has had several bad experiences at the dentist because she could feel pain even though the dentist had numbed her. Could she have the MC1R mutation even though she is blonde? I have red hair, her father has dark hair, and our son has red hair. It is quite possible she carries some mutations in the MC1R gene, even if she doesn't have both copies of the allele to give the red hair phenotype. My son had strawberry blond hair as a child (my husband is the redhead in our family), and he also has extreme sensitivity to pain. I was blond as a child and have brown hair now, but I also have difficulty getting numb. We see a pediatric dentist that uses nitrous oxide gas, which has been the only thing that really works for my kids. My cousin has parents with dark black hair, but she has red hair. How does this happen? It is likely your aunt and uncle both have the red-hair gene, which is masked by the phenotype of having dark hair. Dark hair is dominant, but your aunt and uncle are likely heterozygous for dark hair (with one dominant "dark hair" gene and one recessive "light hair" gene). If your cousin received both recessive genes for light hair, then it would be possible for the effects of the red-hair gene to be visible. My fiery red hair has lightened greatly throughout my adolescence. So much so that most people consider me to be strawberry-blonde. How common is it for red hair to lighten? Or any hair color for that matter? Your situation is very interesting! Most people have hair which darkens as they age, as the production of eumelanin often increases with age (until all melanin production ends, and hair turns gray). It is quite possible that your hair follicles are producing less pheomelanin as you age, causing the amount of red to diminish. Since your underlying hair color is blonde, as the amount of red pigment reduces, your hair will appear more "blonde" than "red" if the pheomelanin production is reducing over time. I took a 23 and Me DNA rest and it said the likelihood of me being a redhead with my DNA structured was less than 6%? I am the only red head in my family so I am wondering what caused my hair color. I also have virtually no freckles. Over the counter genetic tests similar to 23 & Me are not comprehensive genetic tests and only test for a small fraction of alleles on the MC1R gene. Specifically, the 23 & Me test evaluates for three alleles that may cause red hair when there are over thirty alleles known to cause red hair. Your answer is a relatively simple one: the 23 & Me test is not thorough enough and is not testing for several of the alleles causing your red hair. 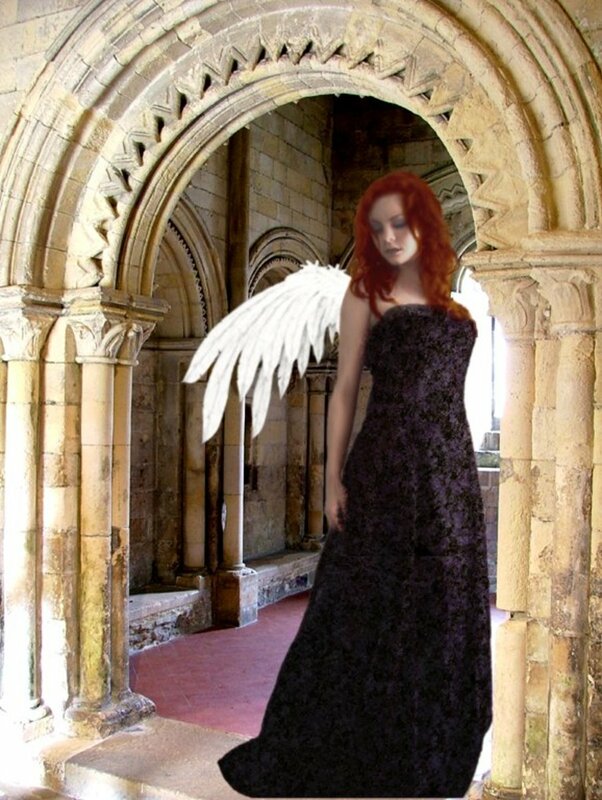 I have auburn hair; it was much more bright red as a child. My husband has bright red/orange hair. Will our children all have a variance of red hair--auburn, strawberry, red or orange? Is there any chance they won't have red hair? There is always a small chance that your children won't have red hair if you each carry different alleles in different combinations on the MC1R gene and have a child who inherits only one copy of each allele. The probability, however, is that your child will have red hair - compound heterozygotes (those who inherit more than one heterozygous allele) often have auburn or strawberry blond hair - and some will have true red hair. 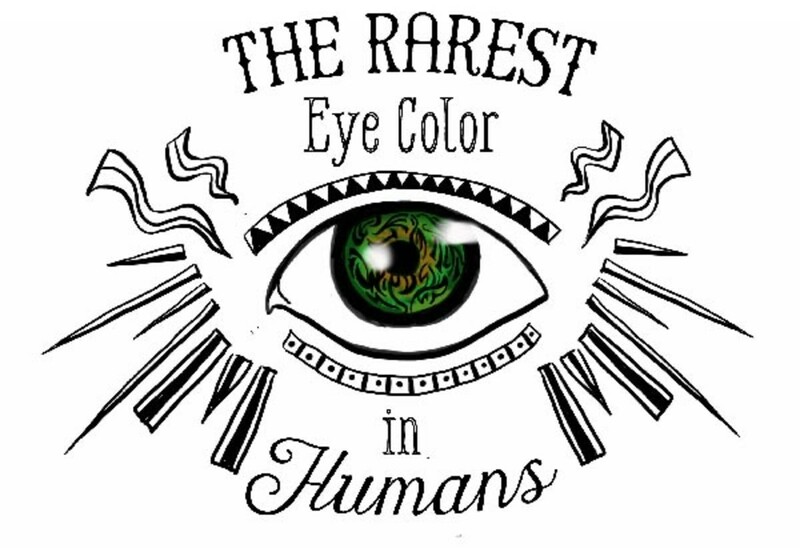 Auburn is the most common hair color for those who are heterozygous for MC1R alleles. Further reading is available via a study performed in 2000: Flanagan, Niamh & Healy, Eugene & Ray, Amanda & Phillips, Sion & Todd, Carole & J. Jackson, Ian & Birch-Machin, Mark & Rees, Jonathan. (2000). Pleiotropic effects of the melanocortin 1 receptor (MC1R) gene on human pigmentation. Human molecular genetics. 9. 2531-7. My daughter has strawberry blonde hair and turquoise eyes. Her husband is from Honduras and has black hair and brown eyes. I have blonde hair and blue eyes and my wife has brown hair and hazel eyes. Is there a chance my grandchild will have green eyes, hazel eyes or blue eyes? My daughter's sibling has blonde hair and hazel eyes. My daughter is 4 months and in some lights shows a tinge of orange/red to her hair. Does this mean it could change to red/orange (her hair is a honey color at the moment)? We have no ginger/red heads on either side of the family. I have brown hair on my head and beard. I also have red in my beard. I have hairs that are completely red, almost an orange color. My girlfriend has brown hair. What are the chances of us having a red headed baby? It is likely you have mutations in the MC1R gene, though your girlfriend probably does not if there are no red highlights in her hair. The chances of having a baby with red hair are low, though sometimes the presence of mutations in the MC1R gene are masked by dark hair. I have strawberry blonde - red hair, and my partner has very dark brown hair though gets ginger dominantly throughout his beard. What are our odds of brown - red/strawberry? The odds depend on the genotype you each carry. If you both have the double recessive mutations to express the red hair phenotype, then it is very likely that your children would have red hair. It is not guaranteed, as the alleles may not match up perfectly,and there are at least 30 alleles responsible for red hair on the MC1R gene. If you have red hair and your partner is merely a carrier of the mutation (but does not express it), the odds would be around 50%. As a child, I had auburn hair. As I got older, my hair went brown with red highlights. Now, my hair looks red in the sun. However, my roots have been dark brown since puberty. The hair on my entire body is medium brown with red highlights. My dad had auburn hair, and my son has black hair with red highlights with some red hair mixed in. Several other family members have auburn hair as well. Am I a redhead or not? It is very likely you have the gene for red hair, though only genetic testing will be definitive. People who have more eumelanin (with a corresponding phenotype of darker hair) and the MC1R gene often have auburn hair. My hair color is red and brown. What could be the cause of the dual coloration? Mutations on the MC1R gene will cause a red coloration and are separate from the hair color genes that determine if your hair will be black, brown, or blonde. If you have blonde hair and two copies of a mutation on the MC1R gene, you will have very red hair. If you have brown hair and two copies of a mutation of the red-hair gene, then your hair will appear auburn or may show red streaks as you describe. Those with black hair and mutations on the gene may not have any visible red hair because of the black hair "masks" the color. What would be the genotypes of parents that have both blonde and red-haired children? Rr or rr(blonde) and Rr or rr(red) - (not sure their phenotypes)? The children are obviously homogenous recessive, but is one more dominant in this case? Or is it incomplete or co-dominance? (I teach a 1st year Bio class and am constantly asked questions such as these). 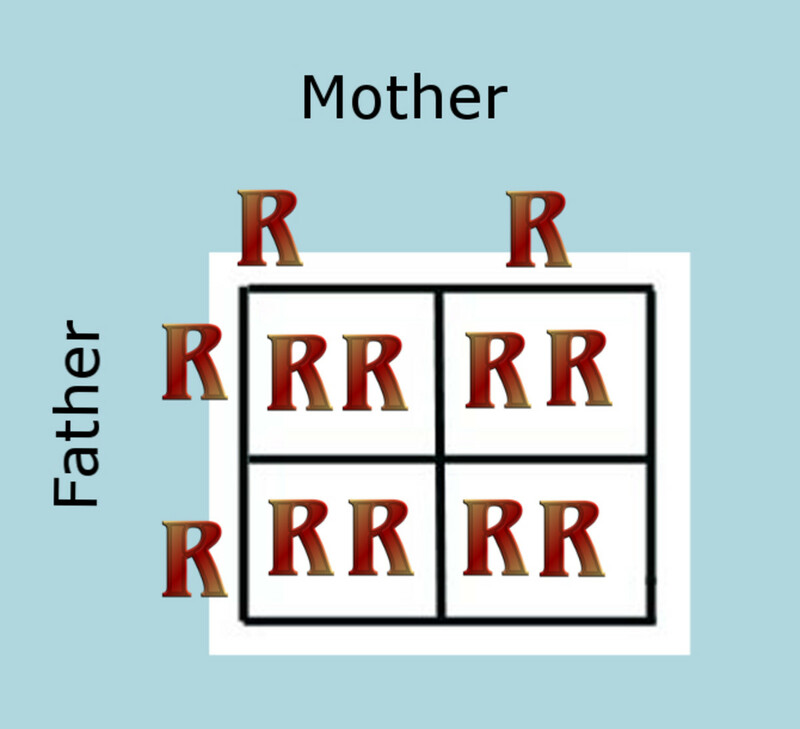 If you are using simple Mendelian genetics to explain the genotypes, then the parents could have the following combinations to produce blond and red-haired children: Rr x Rr and Rr x rr. In the first case, the parents would both be blonde, but would carry a recessive gene for mutations on MC1R. In the second case, one parent would be blonde (but carry a recessive gene for redness) and the other parent would be a redhead. In reality, there are over 30 different alleles known to produce red hair on MC1R, so the actual situation is a lot more complicated. In some cases, parents may be blonde and carry different alleles on each copy of the MC1R gene, with each parent contributing a different allele to the child. These may have an Rr phenotype, but may display red hair. Also, some genes cause loss-of-function, which affects MC1R differently than other genes. An extremely good scientific journal article to present to your class is "MC1R variants, melanoma, and red hair color phenotype: a meta-analysis." - Int J Cancer. 2008 Jun 15;122(12):2753-60. doi: 10.1002/ijc.23396. This article explores the genetics in-depth and will give several examples of different genetic variants and the shade of hair produced. Does red hair signify a percentage of Neanderthal ancestry at all? None of the alleles for red hair on the MC1R gene found in modern humans have been identified in fully sequenced genomes from Neanderthals. While approximately 2% of the Neanderthal genome is represented in modern humans outside of Africa, the changes on the gene causing red hair are not among them. For more reading on this issue, there is an excellent article in the American Journal of Human Genetics: Dannemann, M. & Kelso, J. (2017). The Contribution of Neanderthals to Phenotypic Variation in Humans. Volume 101, pp. 578-589. My mother has black hair and my father has blonde hair. I am a redhead. What hair color would my child have? It is impossible to determine what color hair your child would have without knowing the specific alleles you have on the MC1R gene, and what alleles your child's other parent would have on the same gene. If you married another redhead, it would be fairly likely that you would have children with red hair, though it's not a certainty. Is it possible to tell which parent had red hair, or the recessive gene through my own DNA testing? Are any of the known mutations more dominant than others? Or do they have to match? You can have an over-the-counter test performed for variants of the MC1R gene. Some tests (such as 23 and Me) offer testing that includes three alleles from the MC1R gene. Unfortunately, this is not a comprehensive test and does not test for all possible alleles, but does test for the most common ones. Matching mutations from both parents typically produce the reddest hair, but there are people who have one copy of multiple alleles (compound heterozygotes) who have red hair, too. I am auburn and my fiance is dirty blonde with red hues; does that mean our kids will carry the trait, but not actually have red hair? It is possible that your children will have red hair. Unless you know your specific genotype, it is only possible to estimate the potential hair color your children might have. They may end up with red hair if both of you contribute one copy of the same allele on the MC1R gene. They may demonstrate red highlights or strawberry blonde hair if they are compound heterozygotes. There are a lot of variables at play! I have naturally blonde hair and my boyfriend has red hair. There are a few redheads in my family, but I'm curious. I have the recessive blond hair my boyfriend has red hair. Why don't I have red hair? The genes that control blonde or dark hair are completely separate from the gene primarily responsible for producing red hair. An individual can have dark brown hair and have two alleles on the MC1R gene that will cause red hair, but it might not be possible to observe the red hair since the dark hair "hides" the red. A blonde with a homozygous mutation on the MC1R gene will visibly show red hair. In your case, you have inherited the recessive traits for blonde hair, but you do not have the genetic mutations on the MC1R gene to show a red hair phenotype. My husband and I have brown hair. My husband's brother is a redhead. My baby has red hair. How is this possible? You and your husband likely both carry MC1R mutations. You don't display the difference physically (the phenotype) because you either only have one recessive gene or because you have two recessive genes but the darker hair masks the presence of red hair. It is likely you are both carriers of the recessive gene, and your baby obtained both recessive genes to develop the red hair. I have blonde hair and my husband has black hair. We have two boys who have deep auburn hair. Is this rare for both of our boys to get this hair trait? It is likely that you and your husband each carry one mutation in the MC1R gene. So although you do not express the trait, you have a 25% chance of passing both alleles on to your children (with simple genetics) to demonstrate auburn hair. In actuality, genetics are a bit more complicated, since there are several alleles on MC1R that lead to displaying red hair. When I was younger, I had dark brown hair, but very red highlights. The red was most noticeable when the sun is at a lower angle in the sky. My eyebrows are black. My mustache was auburn with deep red highlights. I had a few stray deep red hairs in my beard, but mostly it was black and dark brown with red highlights. My body hair is entirely dark brown with golden red hghlights. Is this pattern a form of being a redhead? Does it suggest the genetic mutation for red hair? Mutations in the MC1R gene may occur with any hair color, and the red color may be harder to discern for people who have black or dark brown hair. It is quite likely you have the genetic mutation for red hair, which is harder to observe as the darker hair color masks the phenotype. If two people have red hair, but each of their parents has other hair colors and only the red hair gene, is it possible that the children of the redheads will have hair color of varying shades? I guess to be more clear: One pair of parents have brown and red hair (strawberry blonde, really), have a red-headed kid; another pair of parents have black and red hair, have a red-haired kid. Will the children of the two redheaded kids be able to have black - blonde hair? Or can they only have red hair? It is always possible for two red-headed parents to have a child that does not have red hair, particularly since there are at least 30 different alleles on the MC1R gene. If one parent has some alleles on the MC1R gene that do not match the alleles of the other parent with mutations on the MC1R gene, then the child could (theoretically) end up with blond or black hair without displaying the red hair phenotype. The child would still carry the genes for red hair, and if that child married another person who carried mutations on the MC1R gene, there would be a chance that their child could have red hair. The genes for black vs. blond hair are not related to the MC1R gene at all and are located on a separate gene. Also, most people with black hair are not able to display the red-hair phenotype as the red is not easily observed in those with very dark hair. Everyone in my family is a redhead except for me. I don't tan, and I blister and burn in the sun. I color my hair red because it looks good. People have never seen me as a brunette, and think I am a natural redhead or blonde. Do I get dark hair from my grandmother, who is also dark-headed like me? There are several genes that control hair color, so the unique combination of genes you obtained from your family lineage led to your dark hair. It is possible that you carry some alleles on the MC1R gene, since you come from a family with red hair, but your dark hair may be masking the red trait. I have brown hair and no one on my side has red hair. On the other hand, my husband has red hair and so does his mom and his brother and grandmother. What are the chances of my baby having red hair? It is important to understand the difference between phenotype (the way someone looks) and genotype (the genes they carry). While no one in your family has red hair (phenotype), you have no way of knowing what genotype you carry without genetic testing. Since the gene coding for red hair is recessive, you could carry a single allele and show no outward sign of it. In this case, without a genetic profile to determine what your genetic variations are on the MC1R gene, it is impossible to predict what color hair your baby will have. I have red hair, my grandfather has red hair, and my uncle has red hair. What are the chances of my child having red hair? The probability of your child showing the phenotype for red hair would be highly dependent upon the genetic makeup of your partner/the child's father. While compound heterozygotes sometimes display red hair, most red-heads obtain a copy of the mutation on the MC1R gene from both parents. My hair was super coppery as a child. My Mom and Dad's family are both mostly Irish. His hair was dirty blonde, her's auburn. She has red-headed siblings, but he does not. In the summer my hair becomes extremely copper, especially in the sunlight. Am I considered a redhead even if the sun helps to an extent? It is very likely you carry some mutations on the MC1R gene, even if you don't have both copies or show frank red hair. If your hair appears blond or brown most of the time, then you would likely be identified as having that color hair. Some people would say, "blond with red highlights," "strawberry blond," or "auburn" when describing this hair color. Why do both my sibling and I have ginger hair when my parents are both brunettes? Each one of your parents likely carries alleles on the MC1R gene that, when combined, allow for the expression of pheomelanin to create the red hue in your hair and in your sibling's hair. The genetics for blond and brown hair are not controlled by this gene, which operates independently of whether someone has dark or light hair. Is read hair is a dominant gene? Mutations in the MC1R gene are typically recessive. There are many different alleles which may control red hair, and the amount of red hair observed is dependent on many factors, including the alleles affected and the presence or absence of dark hair (quantity of eumelanin). Hi , I'm going to try and make this as short as possible . I am Puerto Rican and both of my parents have dark brown/black hair , dad has light brown eyes & mom has hazel . At birth , I came out with what my mom described as "strawberry blonde" hair and blue eyes (the only redhead we know on her side is her cousin who has bright red hair and we know of none of my dad's side) . When I turned 4 months old , the strawberry colored hair fell and platinum blonde replaced it . I was platinum blonde until about 5 years old where dark ash blonde came in . I am now 27 with dark ash blonde hair and blue eyes . Do I carry the red head Gene since I was at least "strawberry" at birth even though it changed ? Or can anyone express a reddish color at birth and not be a carrier of the redhead Gene ? You understand what I mean ? You could definitely end up with a red-head, Amy! Genetics is a lot more complicated than a simple Punnet square explanation. There are compound heterozygotes, loss-of-function genes, etc. It is quite fun to see the amazing variation in phenotypes among sibling groups! You could have one child with dark hair, one child with blond hair, and the next with red hair. There is no way to tell until the child is born! I am one of ten kids and the only redhead. Every hair on my body has been fully red since birth, I have freckles and don't tan. My eyes are light green (with red streaks that match my hair!) My mom has very dark hair with some reddish highlights to it. My dad had red hair as a child, which turned to light brown with a red beard. My siblings have various shades of brown or blond, some with reddish highlights. My husband has black hair, brown eyes, and olive skin that tans dark. 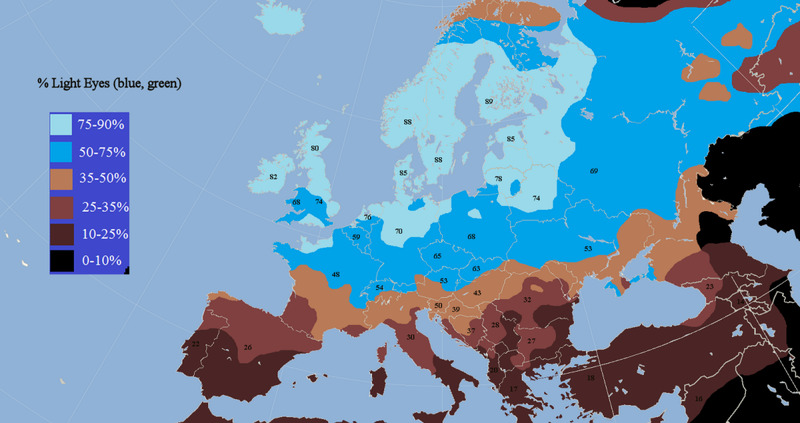 (European ancestry, though.) His whole family has shades of brown hair. I only knew the simple Punnet squares model of genetics, so I expected our children to have dark hair like my husband. But to our surprise, our first son is blond! That's when I realized that genetics is a lot more complicated than "Rock, Paper, Scissors", and I really appreciate your detailed and accurate explanation of all the factors that contribute to red hair. I'm still pretty sure my husband isn't a carrier, but who knows? Maybe we'll have a redhead child after all! Since the gene that causes red hair is completely independent of the genes responsible for having blond/brown/black hair, it is likely that you have genes producing enough eumelanin to create a striking gold color in addition to alleles on the MC1R gene that give it a reddish tinge. 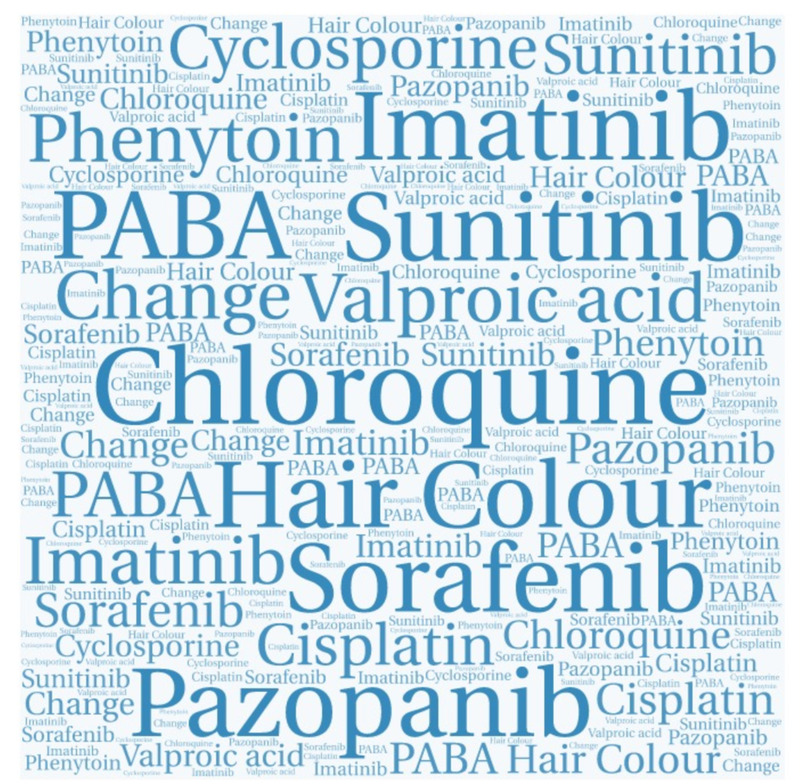 There are a number of different changes to the the gene that can cause red hair (over 30 alleles are known), and having 2 of the same allele or many different single allele changes can cause variations of red hair. It is likely you have a unique combination of alleles on the gene inherited from your family members. There were 5 of us, a black hair, 3 reds in a row and a tow head when he was very young. I'm what my mom called a Titian Red Head from the painter Titian's gold red hair in his paintings. I have a brother who had fiery red hair as a little guy, a sister with dark chestnut red hair like our dad who had 2 sisters with the same. We were on both sides the only red heads in the cousins. One of my cousins (by one of my red haired aunts of on dad's side) produced a daughter with the same color as my dad and my sister. My black haired sister has a granddaughter with the same dark red chestnut, and my red haired brother has a fiery red haired grandson. The red hair in my family seems to skip some generations and to show up in others depending upon whom they choose to marry. My question is this: Since mine is the most different, none else have the gold that only grows stronger when I sun my locks, what is the influence that makes mine so different? Our mom was a brunette with one brother who was red haired as a very young person so I know it is genetic. Hello, Bob - red hair is autosomal. The gene that causes red hair is located on the long arm of Chromosome 16 (the precise location is 16q24.3). is red hair autosomal or x- linked? It must have been such a fun surprise to see your little red-head for the first time, Nicole! Recessive genes are funny, as they can be carried for a long time within a family line and never be "seen," as the person carrying the mutation must find another carrier to have a chance of having a child with red hair (and in this case, only a 25% chance with each pregnancy). Beyond simple Mendelian genetics, there are more than 30 alleles on the MC1R gene known to cause red hair when combined with a similar allele, so the genetics gets a little bit more complicated (you can have a compound heterozygote producing a red phenotype, etc). It sounds like you have a really fun family - have fun with your feisty son! I have brown hair, brown eyes and olive skin and tan very dark. My husband has brown hair and blue eyes, with fair skin and sunburns easily. We have 3 sons, and the 1st two, have brown hair and blue eyes, but tan dark like me. And our youngest is a ginger... Red hair, blue eyes, pale skin and lots of freakles and his personality is fierce, not one to reckon with, but to be fair...my personality is, very fierce and feisty, as well. Needless to say, we were shocked, when he was born, with his strawberry blondish/red faux hawk. During his 1st few months, it became more bright red. We obviously both carry the gene, but neither of our families ancestry, has yet to have a redhead. It is really neat to see unique expressions of the MC1R gene, Laurie! My husband's hair has darkened with age, but his beard is extremely red. My son's hair is also darkening, but I have a feeling his facial hair will be red like his father's! I love being strawberry blonde. I have always reveled in the fact that I was one of a few. My familial history is very Northern. However, my son's father is Mexican. It's beautiful seeing the recessive gene come out in his characteristics. He has super dark, thick hair, but with red highlights. He has hazel eyes and when his beard grows out, it's very red. The revessive is strong in that one. Im excited to see what his children will carry on. Olive skin indicates a higher melanin presence in the sun, which helps protect against UV rays. I would definitely still use sunscreen, Amber, but melanin (in general) is helpful in protecting the skin from the sun. My youngest son and husband need higher levels of painkiller and have the pale skin/freckles. My husband's hair went from very red to darker as he aged. My son's hair has also darkened, but you can see the red highlights in it. My dad and mom have the ginger gene through dna testing although dad hair black and grey eyes with really pale skin (his cousins all redheads).mom dark brown-auburn red in sun hair with slightly darker olive skin and brown eyes. I had strawberry blonde when 6 yrs old then darker blond with red highlights in sun ..olive skin with dark green eyes. My baby bro very red hair and freckles with pale skin and hazel eyes. I need more painkillers then normal also. Having olive skin is it alittle safer in the sun? Do you have a source for Malcolm X having red hair? Does your father's family all have black hair, Miss Bananna? 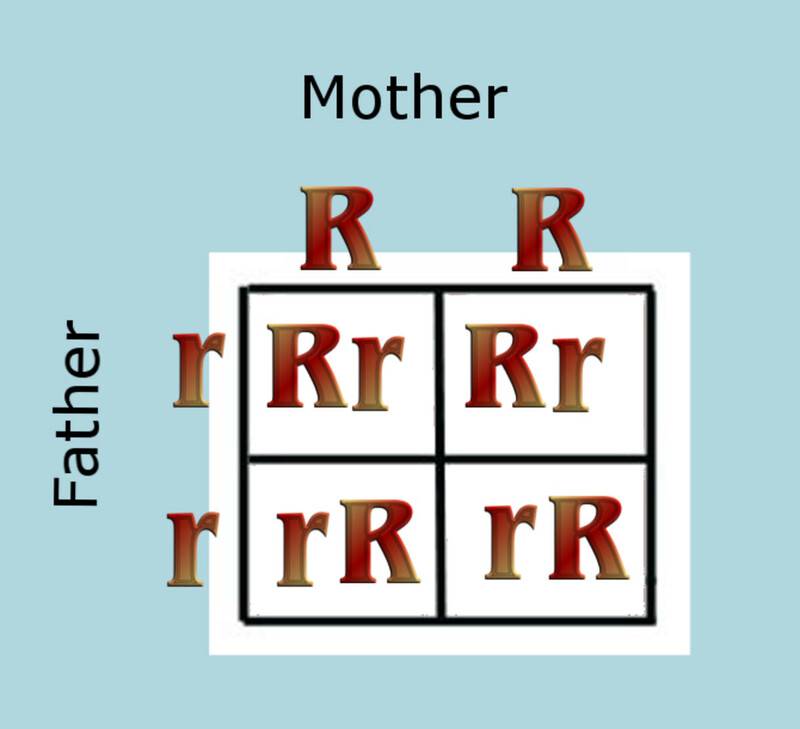 It would be difficult to determine carrier status in a family with very dark hair, as they could have mutations on MC1R but not demonstrate the red hair visually, as it is hard to see the red highlights in very dark hair. If your mother has red highlights, it is likely that she carries mutations for the gene. It is also possible that you have your own unique mutations that were not inherited from either parent (spontaneous mutations). It would definitely be a rarer event to have a spontaneous change in the gene than inheriting it from your parents! I have red hair. But my dad has black hair and my mom has brown hair. My mom is a carrier of the gene but my dad has no family member who has/had red hair. I must be super rare then. Thank you Leah. Most are not as kind. I would love to travel to Alaska one day, Lone Timberwolf. We also live in a low-sun location during the winter (Western NY), but our summers are sunny and typically are in the mid 80's. I have to stay on top of the sunscreen for my children, as their skin is very prone to sunburn. Your hair is beautiful! Hair color for people with blonde or red hair often darkens with age, as certain genes are switched off and on throughout childhood and puberty. Eumelanin production typically increases with age. Aye, livin' in Alaska was a low sun environment during th' winter. but what most don't seem to realize is that it gets into the 90's during th' summer. And thank ye my friends also think My hair and eye combination is quite pretty as well. My profile picture is actually a picture of me, not something I found on the internet. will my hair colour get darker as... age by age ?? Shreyash, you could always have your hair dyed to a darker color if you would like to do so. I am redhead..my hair colour is getting partially dark brown...then What should i do for to make my hair colour darkest brown ..?? Shreyash11, it is impossible to say with certainty, but your baby will most likely demonstrate the phenotype of dark hair if you marry someone with dark hair. The child may or may not have the mutations responsible for red hair, but it is likely to be masked by the darker hair. Genetics is tricky to predict (due to crossing-over during meiosis and other intricacies), so you never really know until the child is born. Your parents likely each carry MC1R genetic mutations, Madison - I bet your hair is beautiful! I have brown hair, my husband had very red hair (it is now much darker and appears brown) and my son has strawberry blonde hair that is getting darker with age. I am redhead boy...but my parants have typically black hair & if i marry with black hair colourd girl then which hair colour will my baby have ??? What a cool combination of rare eye and hair color, Lone Timberwolf! Living in Alaska would definitely be a low-sun environment. We live in Western NY and do not get very much sun, and my pale, red (now brown) haired child does well in the low-sun environment. Laura, I wanted to add the OTC 23 and Me test only tests for three variants on the MC1R gene. Well over 30 variants are known to cause the red-hair phenotype, so it is quite possible you have a variant not tested by the kit. Hello, Laura - 23 and Me is an over the counter test. If you can buy it online, it is over-the-counter. To have full sequencing of the MC1R gene, you would need a prescription and the oversight of a geneticist. 23 and Me (along with other OTC genetics kits) only look for the most common allele or mutation in most genes. Thanks for the reply Leah. It wasnt an over the counter test, i used the 23 and me testing which covers all of them in detail. Hi Laura - there are over 30 different alleles for MC1R, and it is likely that any over the counter genetic testing product only tests for the most common variants. The most likely explanation is that you do have a variant in the MC1R gene that wasn't detected by the test, as most OTC evaluations are produced to find the most common alleles. Another explanation would be that you carry another gene (other than MC1R) that is affecting hair color, though nearly all people with red hair carry a mutation in the MC1R gene. Other genes are suspected of playing a role in hair and skin pigmentation, however, so genetics is a bit more complicated than a Punnett square might suggest. It is quite possible you either carry or have the gene, philessense. The only way to tell for sure would be genetic testing. Mother and 3 sibs are redheads. Father, dark brown w/ blue eyes, fair skin never tanned. Eldest brother and I brown hair with red in it if I try to go blonde. My redheaded sibs consider me dark, as I am able, with much effort, to build a bit of a tan and they can't. But I'm quite pale, burn and blister more easily than normal people. And when I am at my darkest, people tell me I am too pale. I have always assumed I had the red hair gene. Hi. I’ve just had genetic testing done and i do not carry the red hair gene. I have dark brown hair. However my partner has red hair and so do both of my children. I thought both parents had to have the gene? It is so interesting to see the variations in expression with the red-hair gene, Leslie! My children are similar (my husband is a red-head and my oldest is dark blond and my youngest is strawberry blond). My husband is a red head rr (2 recessive red), I am brunette Bb (1 dominant brown, 1 recessive blonde). We have 2 brunette daughters, and one dark blonde daughter. All daughters have one recessive red hair gene. What are the possible hair color types for a child born to one red haired parent and one brunette parent who carries a recessive blonde hair gene? Would it be 50% brunette with a recessive red and 50% strawberry blonde? or would the other 50% just turn out red? 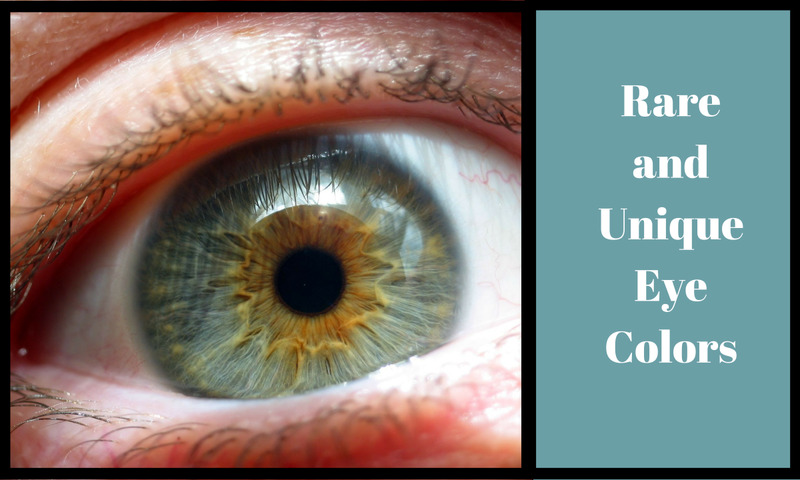 What happens when two different colored recessive genes pair up? I wouldn't be scared, Bree, but I would be careful with regard to tanning and excessive sun exposure. My boys are very fair and we use sunscreen with them whenever they are outside for extended periods (my 11 year old had a scare with a dysplastic mole that showed up on his back at the age of 9 and recurred, so he had to have a wide excision to remove all chance that it could come back). Everyone is different and the only real worry with having both copies of MC1R would be repeated exposure to the sun, increasing the risk of skin cancer. I'm sure you'll be fine as long as you don't sunbathe on a regular basis! Im kinda scared after reading that redheads and blonde haired people are likely carriers of cancerous genes. Im the only red head in my blood related family and also the only girl who was born into my family, making me "special" so I hope there is nothing else different. Also, does anyone with medical knowledge know the percentage of red/blonde haired people that have came down with cancer is? Also, does anyone know what age it usually comes by if it is a Dominant gene? The MC1R genetic mutation is carried by all races, tlew. It is also likely Cleopatra used henna as a beauty agent. how was malcom x a redhead? or cleopatra? It is highly likely you carry the MC1R gene, RTaylor, though only genetic testing would be definitive. My husband has similar traits and we have one child with strawberry hair (which has darkened) and one child with blond hair. Your parents may or may not have red hair, as each one would only need to be a carrier to pass on the red trait, so you could have two parents who don't display the trait. My son and I both have issues with anesthesia, though we also have Ehlers Danlos Syndrome (known for a difficulty with anesthesia), so it is hard to determine whether it is the EDS or the red hair gene causing the issues for us! Fascinating!! I'm curious and would like some feedback if anyone cares to assume the challenge? 3) heavy freckling but not necessarily "pale-skinned"
More "ruddy" looking. I do burn easily and my freckles seem to double if I forget sunscreen. Also have had 3 lesions removed...not melanoma, but did have some type of cancerous cells. 4) Dx'd with SLE (systemic Lupus) at age 40. It's an auto-immune disorder that causes an increased inflammatory response. 5) This one is the worst by far...on 2 seperate occasions, I woke up during surgery!! I didn't feel pain, but I remember opening my eyes through some kind of guppy lubricant they apply apparently, and thinking...Oh s#!:#! That's all I remember thank God...the anesthesiologist later explained to me that it was because of my "red-hair gene!" 6) For some weird reason, my body wont dissolve those "dissolvable stitches." Nobody seems to know why? I'm now wondering if this an isolated occurance, or could it be related to the gene? Ok....here's my question? Is it reasonable to assume that I'm a carrier of the MC1R gene? Husband- brown hair, light green eyes, tans easily. Both my children have dark brown hair with heavy red tints in sunlight. Both light BLUE -eyed, scattered freckles to upper body only. Both O-neg blood type...same as me. Neither have shown evidence of problems with anesthesia thus far. Any ideas on what my bio-parents had in terms of hair/eye color?? Thanks for any insight you might be willing to share. It's nice to know I'm not the only one with questions!! My son is similar, Yadira - he was born with black hair, which fell out and he had red hair until it darkened to brown. We are much farther north than Florida - but his eyes are blue/gray. Oh, I am a mess. I was born with black hair, then it turned lighter almost blond then copperish red, then red(er) and finally dark brown. I got out in the sun and I turn red, earn freckles and go back to be white again. I never get a tan (Sighs) My eyes they can change from blue to gree all in one day or stay green for many years and change into different shades of green. If I travel a bit far up north in the state of Florida where I am and the weather is cold my eyes turn blue. Hi Jim, is the "red spot" a patch of red hair, or is it a red spot on the skin? Red spots on the skin (macules, papules, and hemangiomas) are not indicative of carrying the recessive red hair gene. If you have a patch of red hair, then you may carry/express the recessive MC1R gene. If I have a red spot on the back of my head do I carry recessive red? The red hair gene exists in many ethnicities, so it is not linked to "green eyes," though there are people who carry both traits at the same time. There is likely a founder effect as many of these traits (Rh negative blood type, green eyes, and red hair) are found at a higher rate in Europe and occur simultaneously in many individuals. It is interesting, Matthew. We actually had a fertile mule in the Inland Empire of California where I spent my childhood. She had two foals - they named one of the foals "Blue Moon" due to the rarity of a fertile mule! I agree, Matthew, that people seem to have become polarized in recent times and we must reach out to our fellow humans to stop hate and to develop relationships that prevent the formation of stereotypes. Never stop learning - this should be the human motto. While trying to find evidence to my argument, i ran across "Christian Forums" really getting disgusting and it just highlighted how stupid today's world is because we as a society are okay with being fed information rather then winning that information for our own good. Ignorance is the bane of Civilization, once we are complacent enough to believe what sounds good we are ignorant enough to vote out our republic. (Bio: I'm a US Army Infantryman, all outsides look the same when they are on the outside, and if we can eliminate hate,fear, and ignorance, then what is there left to fight over, If I can never see Death again due to misunderstandings I will die happy)Thank you, Preconceived Notions. that was what I was trying to say. Long story short My buddy was telling me he was attracted to Red's, even though he "was" and "we are" supposed to be "disgusted by them," thats when I forgot myself and yelled "conjecture!! !, that's not science nor is it fact, It!! is based on hate stereotypes", and Preconceived notions. In an attempt to try to correct, in what I believe a intellectual teachable moment and a literal chance to "kill" hate and ignorance, because he rebutted my argument in I believe her because she is in the medical field, even though she has not specialized nor is she a Phd. I'm like awesome, I can prove to you! or.. reference to the fact that is not common knowledge nor is it scientific. Not to mention He could talk to a Herpetologist about his hemorrhoids, but unless He has a cloaca his advice should be taken with understanding that Dr. Herp DVM. is not an expert in that field or discipline and neither is the "Expert". Matthew, I would first ask the question: is your initial supposition correct? 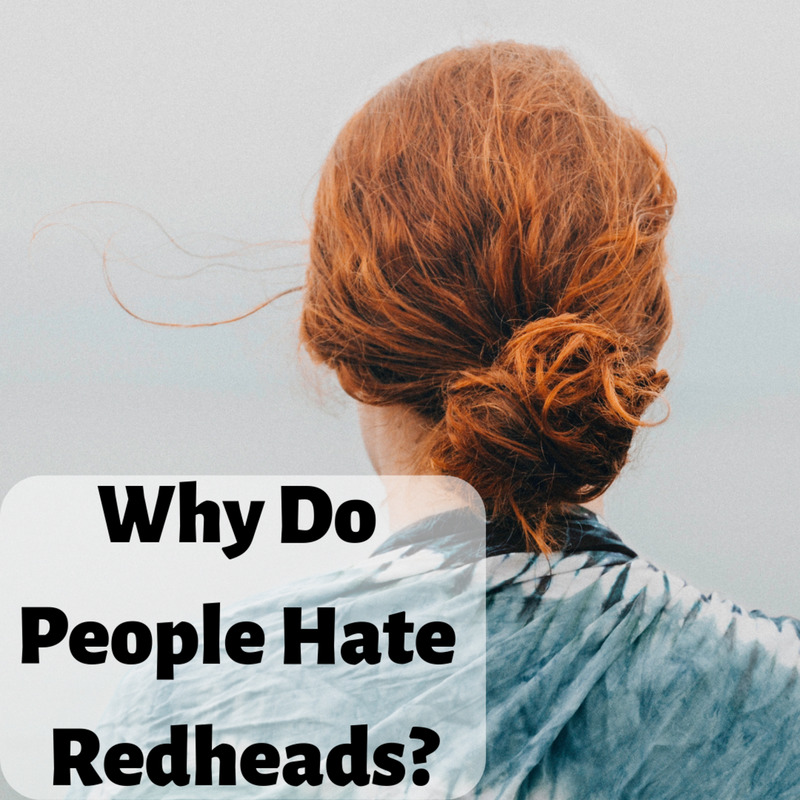 Who finds red-heads unattractive? Apart from a satirical South Park episode, I haven't heard about hate groups regarding people with red hair, though I suppose there are people who will always find someone to hate. As with all physical characteristics, there are stereotypes applied - which are often inaccurate or serve to validate a preconceived notion. Prejudice is learned and not a genetic trait. I'm, looking for information about how the "fear of gingers" propagates anecdotal conjecture. The argument: my friend said according to his Niece who purportedly works at John Hopkins for Kids, "We are genetically designed to find red-heads unattractive." My rebuttal: CONJECTURE, more specific Religious Allegory, most recently Vikings dominating Christians from the Dark Ages up until the Late Middle Ages, even surviving the renaissance as the Varangian Guard of the Byzantine Empire. We were taught to Hate and Fear Red headed pagans, and those fears survive today as stereotypes. I have tried arguing that Hate is a subjective sociological skill, one learns to conform to to be accepted and not be cast out of the "Common People" with the "Common Idea". I tried to bring up Bears, and highlight the difference between biological response to environment and sociological response to society's common idea. Bears evolved white fur to better hunt on the Ice, those who lived long enough to pass that mutation now propagates the mutation as a dominant, and now the likelihoods of creating white furred hunters are more likely, and a probability. Where does Social come into play? Wolves adopt dogs, Cats adopt Birds. but because they cannot reproduce, in my mind it doesn't apply; Polar Bear and Grizzly Bear are probably close enough to get a mutant like Liger or a Walfin, or a mule, but that line stops as mutants are usually born sterile. Since all Humans possess the MC1R Gene and it can be expressed by any human, and if we are programmed to hate Ginger's, then why don't we hate ourselves for being carriers? Anyone? I'm open minded so critique that crap out of me. There are a lot of variants, Mickie! Many people with the "red" gene don't display the phenotype if they also have dark hair, but may easily have children with lighter hair where the redness shows through. My husband was a true red-head, but became darker as an adult. He still has a red beard! My oldest boy was blond as a baby, but my youngest son had strawberry blond hair. Both boys are older now and have the same hair color (a dark blond/light brown). In the sunlight, there is still a red hint to my younger son's hair. My uncle has red hair and has maintained a shade of red well into his 80's! It has lightened considerably, but is definitely still red. As you stated, there are always anomolies. My dad had very dark brown hair and light green eyes, almost black and my mom had a beautiful auburn color with brown eyes. I am the oldest of three -- I have Strawberry Blonde and green eyes, my two bothers were medium brown hair and brown eyes. Not sure of my Dad's side way back, but the immediate family all had shades of brown hair and some with brown eyes and others blue or green. My mom's side however, had lots of red hair. My husband's hair is dark brown/black and brown eyes. My son had Strawberry Blonde when little, but it turned darker, and darker brown as he got older, but he has a reddish brown beard! This is bizarre. I have the following alleles with regard to my MC1R gene R160W, D294H, V92M, D84E, V60L and yet I have brown hair. I had blond hair as a child and by the time I was in my mid teens it had darkened to the medium light to medium brown it is today. All I have ever found was an occasional red hair in my beard and even they were few and far in between. Red hair, as any recessive mutation can be diluted (if they reproduce at slower speed than the other hair color populations) but not extinct unless there is a pressure to supress this mutation by selection (Suppression of these people from reproduction). Maybe the % of gingers can be reduced but not eliminated. Did you just make up the "koakage" because I can't find evidence of it's truth anywhere. Akage = redhead and kawaii = cute. Where did you get the koakage idea? Blond hair may contain pheomelanin, Keep It Red - it does not have to contain this form of melanin, but it certainly can have it. It is very interesting to me how the beard color will remain red, even when the hair on someone's head has darkened, sbbhunt! My husband still has a very red beard, even though the hair on his head has turned a reddish brown color. My younger son had red hair as a toddler and it is now darker and nearly the same color as his older brother's hair (a very dark blond/light brown). It is interesting how hair color changes over time, Robert! My family ancestry is largely Irish and my husband's is British/German - my husband had very red hair. My fathers hair was white eyes blue when he was young , changing to nut brown later. we 3 childern all had very fair hair , changing later to brown . My mothers hair was black , green eyes . My sons hair was ginger changed to frizy black and angel blue eyes , my daughters hair is black deed green eyes changing to dark brown , her mother is half Welch and English black hair deep green eyes . My parents were Irish . one grand son half Greek has very dark hair and blue eyes , the other has light brown hair and blue eyes and an Irish mother with dark red hair and green eyes . Funny thing red haired women facinated me when I was young and I wasent surprised when my son said he was going to marry one , even though I said nothing about my younger days . I have a question hopefully someone can help me answer... My mom has red hair (not auburn) and my dad has brown hair. I have blonde hair and my brother has red hair (slightly more blonde than my moms). How is this possible? I understand how my brother would have gotten his red hair if my dad is carrying a mc1r gene but how would I have blonde hair then? Could my dad be carrying a brown hair, blonde hair and mc1r gene? Okay. I've been reading and I'm not so sure what I typed a week ago is correct because now I'm finding publications that are saying that pheomelanin IS responsible for blonde hair as well. Some say yes, some say no. I would like to know the truth so I'll keep reading. My apologies to you and again, thanks for the article. Enjoyed this article with the exception of one glaring mistake. Blonde hair does not cotain pheomelanin, only a bit of eumelanin. As you stated above, the abscence of any pigment results in white hair, so a little eumelanin makes blonde hair. It is this bit of eumelanin that gives it it's yellowish or blonde hue. Blonde hair actually derives from brown hair, not red hair. So eumelanin is responsible for black, brown, and blonde hair. Pheomelanin is responsible for all red hair only. Other than that, great article. I enjoyed it. Isn't it interesting, Dolores? One of my children is blond and the other has red hair, and my red-head is very resistant to local anesthetics. The resistance to anesthetics is a very interesting side effect to the MC1R gene, mbwalz! My boys also have Ehlers Danlos syndrome, which causes resistance to local anesthetics. They have a double whammy, and our trips to the dentist are usually rather difficult (as you can imagine)! As the mother of two red headed children, I used to think they were just whiners when they complained of pain. Now I know that they actually are more sensitive! I feel like a hardhearted mama! There seems to be a problem with electricity as well. I never knew two people who complained of electrical shocks like the two of them. Of course, they were such gorgeous kids. There is nothing more adorable than a red-headed child! Thanks for the in depth info about us redheads! I just wrote a hub about our pain and the things that are being discovered through the mutation of the MC1R gene. It could lead, if there's enough interest and funding, in new classes of analgesics. In the mean time, we just get to ask for more lidacaine instead! Voted up and shared! Perhaps people are jealous of your red hair, Jill? That is a good response! I love red hair and I'm glad one of my kids has it (though it is much less obvious now)! Perhaps the best answer, as her parents finally taught my cousin to respond when asked where she got that red hair, is "God gave it to me"! The genetics is interesting to me, Crystal Tatum - it is very possible to carry the red gene and have dark hair - when a child gets two copies of the genetic mutation, they will have red or orange hair. The actual genetics are a bit more complicated than that, of course - there are many different mutations and some are have more penetrance (i.e. "stronger") than others. I have brown hair (blond as a child) and my husband has red hair - we have one son who has blond/brown hair and one son who has reddish hair.. though the red has become less obvious as he has gotten older and his hair has darkened! The genetics bit was very well written but over my head. I do know that I have a cousin with a brown haired father and black haired mother who came out with orange hair. Apparently there was red hair on both sides of the family back a coulpe of genrations. She's never liked it much ....people were always coming up to her in stores and rubbing her hair! It's hard to believe how barbaric ancient civilizations could be. You did a great job with this hub. Voting up and interesting. I love genetics, pinkhawk - many genes have an effect beyond the obvious phenotype of having red hair. The increased skin cancer risk is simply the direct effect of the type of melanin the "red" genes express. Eumelanin protects against the sun's radiation; pheomelanin does not protect the skin. My five year old had very strawberry blond hair as a toddler, Tiffany, and now he is developing darker hair. I suspect he has a "weak" red hair gene or he is only a carrier of the gene. Still, his skin is extremely fair and we go through bucket loads of sunscreen each summer! My husband is a classic red head, and is very susceptible to skin damage from the sun. thank you for this very interesting hub. my bestie has red hair and freckles and is so sensitive to the sun just like you said in this article! my hair was lighter when i was younger, and it has gotten darker as i have gotten older...that must mean my genes are slow starters...yes? lol. blessings! Redheads are a big part of my life, too - my husband is a redhead and my younger son was strawberry blond. His hair gets darker in the winter, but gets redder in the summer with exposure to the sun. As a toddler and preschooler, he had very reddish hair. My older son was blond as a baby and has brown hair now. You definitely have a life filled with redheads, PaisleeGal! It is fascinating, isn't it, Deborah? Since it is recessive, it really does take two carriers to have a child with red hair. 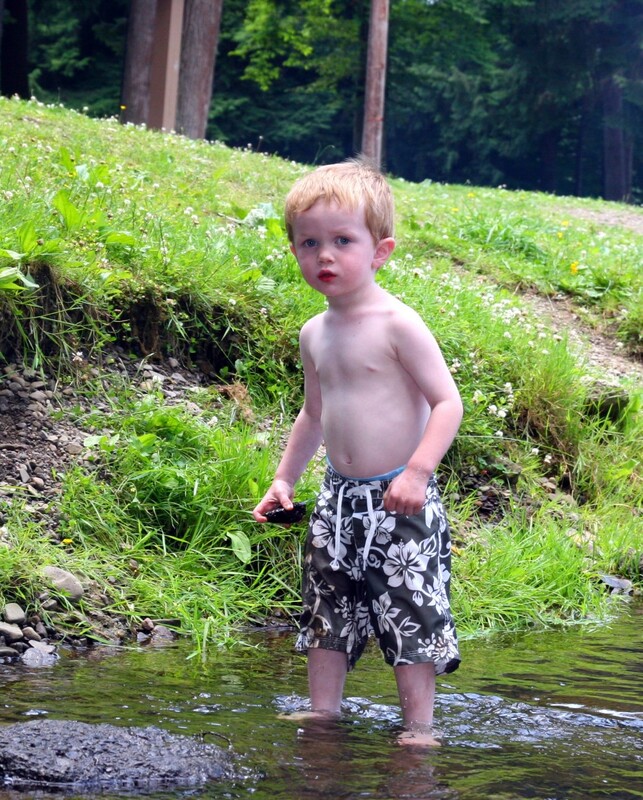 My son has strawberry blond hair that has now darkened (but returns to its reddish hue during the summer months). He has the freckles to match, so we go through a lot of sunscreen! Interesting! I'm a red head but never knew the genetics behind it. I'm told my red-headed, Irish great grandmother was bummed that none of her children or grandchildren were red heads, but after she passed, several of us came along in my generation and the next generation. Current science disputes the theory - DNA has been sequenced from Neanderthal remains and the genetic sequencing shows an entirely different mutation in the MC1R gene than his found in humans - so the likelihood of a "genetic flow" from Neanderthals to homo sapiens is very low. What do you think of the theory that due to the age of the red haired gene, that it came from Neandertals? I worry about the skin cancer risk, too, Kelly. We recently went to the beach and we used a lot of sunscreen on our boys to keep them from getting sunburned. I suppose forewarning is foreknowledge, and all we can do is use sunscreen and monitor for any skin changes! My son is a red head - Or he likes to say it's orange. (He's 7 now) My husband and I both have dark brown hair and our daughter has light brown hair as I did as a child. Both sets of my husband and I's grandmothers were red heads so we assume we carried on something, though when someone asked our son, "Where do you get that red hair from?" He replies, "It grows outta my head." I do worry about the cancer risk as my grandmother died from a rare case of melanoma. Nice work on this hub. Very informative. Voted Up and Interesting. My mom had auburn hair, but my sister and I didn't pick up the red shade. I was tickled when Nolan's hair turned a beautiful strawberry blond (from my husband's side). The hair in our family tends to get darker with age, though, so it hides the red! Thanks for the comment, teaches! My mother had red hair but none her children received this blessing. I had tints of red in my hair,but this was the closest anyone came to red hair. I have to say my mother had the most beautiful color of red, it was a darker shade and thick. Thanks for posting, I like your matrix on the dominant colors. Voted up. Hyphenbird, it is interesting how hair color changes with age. Sometimes the pigment producing cells produce more eumelanin as a person ages, but the gene for red hair is, of course, still there. The red color is just harder to see because it is masked by the darker hair. There are many variants of the MC1R gene that cause varying shades of red, and some are "weak" red genes that don't give the classic "carrot top" color. My husband's hair has darkened considerably, but he still has the freckles and his beard hair is very red! I really was fascinated by your research and commend you.